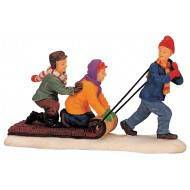 Lemax The Toboggan Tug Item 02418 Polyresin figurine Approx. 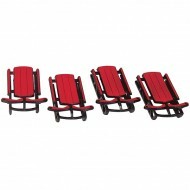 size: H x W x D 9 x 5.4 x 3..
Lemax Sleds, Set of 4 Item 34948 Features Include: Plastic Accessory Approx. size: ( H x W x D )..